Yesterday Google announced AdWords Enhanced Campaigns, an update to AdWords that they believe will improve marketing in this constantly connected world that we live in. Google AdWords is the paid advertising platform for Google and we use it to manage pay-per-click (PPC) accounts for our clients. Within Google AdWords it is currently possible to manage separate campaigns for desktop and mobile search. Enhanced Campaigns has been designed so that ads for different devices will be managed all from one campaign, reducing the management time required and adding a few other handy benefits along the way. Google are constantly striving to bring users the most relevant organic and paid search results on the search engine result pages (SERPs). Enhanced Campaigns allows advertisers to target their ads, not just for the device that searchers are using but to their location and the time of day. Google want to help businesses reach out to customers with advertising that is relevant to both their intent and their context. Google’s decision to implement Enhanced Campaigns has been driven by the shift in user behaviour: search on desktop is declining and this update makes it easier for advertisers to opt into mobile. Aside from reducing the number of campaigns that you manage, Google AdWords Enhanced Campaigns allows you to adjust bids by time of day, user location and device in order to maximise return on investment (ROI). For the user, this means ads appear to be more personalised and gives an enhanced user experience. For example, a user is searching for a locksmith, it’s 2pm and they are searching from their work desktop computer. In this instance, the ad might link to a list of services and prices that the locksmith offers and give the user the opportunity to get a quote. However, at 7am when a user is searching for a locksmith from their smartphone chances are they’re locked out and require a locksmith now! Out of office hours, ads targeted at mobile users could contain a click-to-call phone number and allow the user to get in touch asap. Going along the same theme, ad extensions (such as phone numbers) can be scheduled with Enhanced Campaigns. So you can turn off the call extension when phone lines close. Site links will be available at ad group level as well, which provides the long awaited further scope to increase relevant site links at keyword level. This AdWords update is also offering advanced reports for new types of conversions, such as calls and downloads, which offers loads of possibilities for improved tracking. Google AdWords Enhanced Campaigns are being rolled out to advertisers over the next few weeks, with the aim to have all campaigns upgraded mid-2013. As Google release more information, and we are able to use Enhanced Campaigns for ourselves, we will follow up this blog post with some tips for how to transition to the new Enhanced Campaign set-up in AdWords. 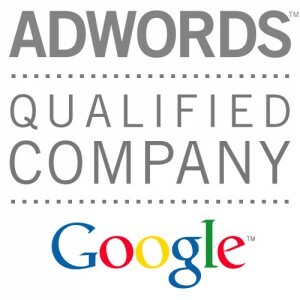 For further information on PPC in general have a look at our Pay Per Click page.